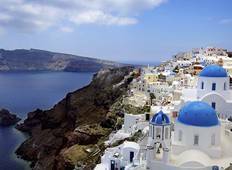 Get ready to fall in love with Greece on a hiking or walking tour. Check out the coastal trails on one of the country’s many blissful islands, or glimpse ancient monasteries as you traverse the mainland. Greece is also home to Athens, one of the world's oldest cities.